The bandwidth of these antennas are good, they can easily span the entire 50Mc band and more with a low SWR. But, in this design, the bandwidth is limited to approx. 600kc (without re-tuning C1 or C2). This allows you to tweak the antenna to your desired band and avoid interference and reduce intermodulation. 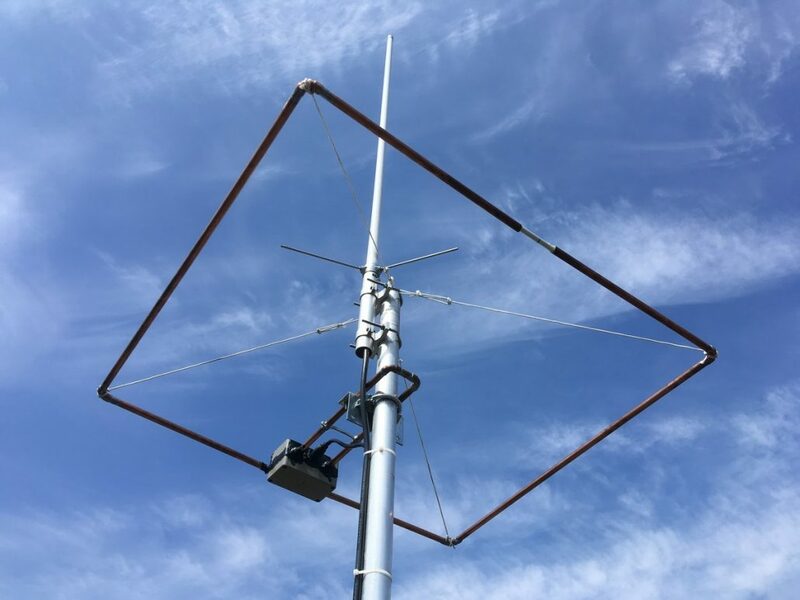 5/8 vertical groundplane antenna for 50MHz RE-A50V58. This antenna is very useful for receiving or scanning purposes, but you can use it for transmitting, too. It is 2,94m long and has a pi-configuration (Collins-Filter) for the matching. The G3JVL 6 Meter ground plane vertical is a compact antenna that is ideal for portable operations. If needed, it can be disassembled into a very small bundle no longer than the longest element. 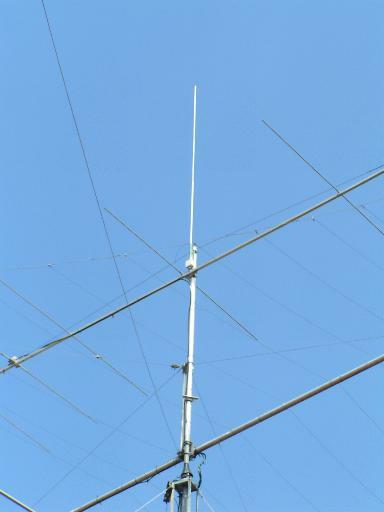 An omnidirectional, horizontally polarised antenna for the 6-meterband / 50 MHz built by Thom van der Klis PA9T. There are many of the popular J-Pole antennas described on the Internet, most are either ribbon cable antennas for the 2m band, or quite elaborate copper/aluminium tube versions for 6 metres. I was unable to find a 6m ribbon cable one, so I set about making one. 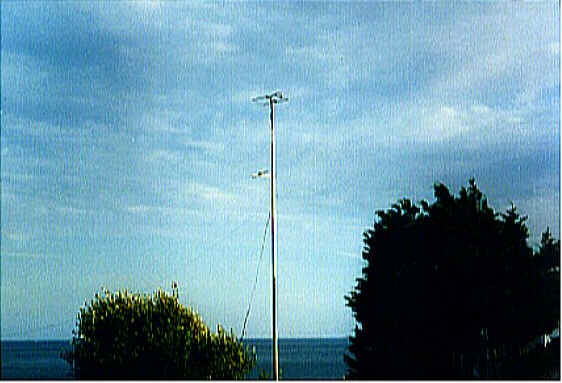 For six metre FM/mobile/repeater working I have found this aerial to be the best of all the verticals I have tried. The design is that of VK2ABQ, a well documented one which I have scaled down for 50MHz. Cette antenne n'as pas la prétention de rivaliser avec une beam mais elle m'a permis de réaliser de nombreux contacts depuis le dep 56 en france et sur l'europe ,la conception est anglaise. This is the 'Jones version' of the Lawn Chair 6M Halo as viewed through the rear window of the mobile. Ain't that just the sexiest thing you've ever seen on the outside of a vehicle? 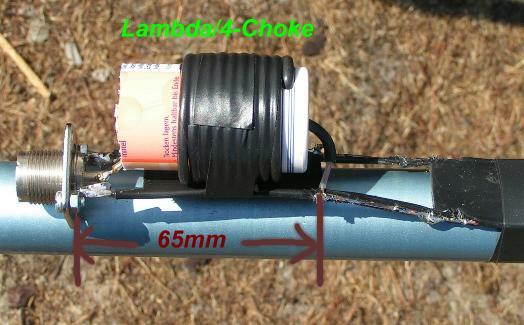 This J-Pole is mounted on a fishing rod. The radiator L1 is an isolated copper-wire with a length of 281,5 cm (with not-insulated wire about 1-2% longer!). The quarter-wave matching sector L2 is made with 450-Ohm-Wireman-cable (length 133cm). 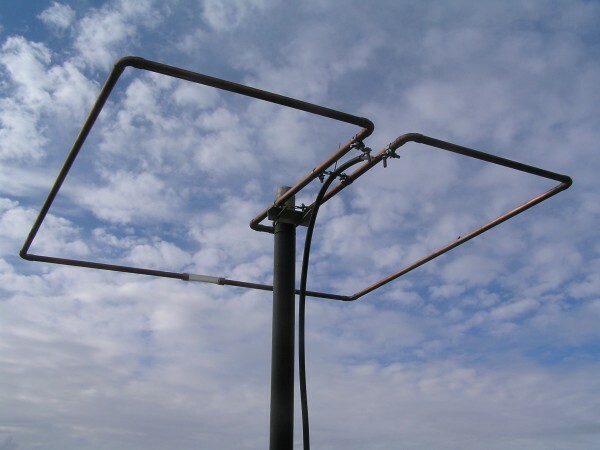 ...the “Squalo” antenna, or square halo. In fact, it’s just a square folded dipole. It radiates in all directions, with -4dB gain on the sides (compared to the front and back side).